Dr. Blackwell is passionate about occupational therapy. She splits her time between researching innovative practices, teaching graduate occupational therapy students, and providing service in community pediatric settings. Her service focuses on supporting participation in important childhood occupations in authentic environments. More specifically, she understands the challenges of addressing sensory and self-regulation needs in the classroom, which is the major focus of her service and research. 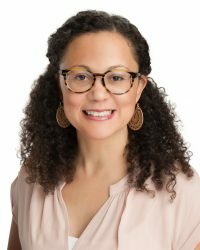 Beyond sensory processing and self-regulation, Dr. Blackwell’s research interests include occupational justice, response to intervention (RtI), resilience, and teacher-therapist collaboration in the classroom. Finally, she loves teaching, coaching, and mentoring occupational therapy students at both the pre-professional and post-professional stage.